I hope everyone had a great Thanksgiving! I am STUFFED and was just killing some time on the computer when I saw this awesome How To on Instructables. This light bulb vase is such a clever use for your burnt out bulbs [that you are now replacing with CFLs – wink]. The base is just an aluminum ring from a recycled hard drive and they have some other options for keeping the bulb upright as well. 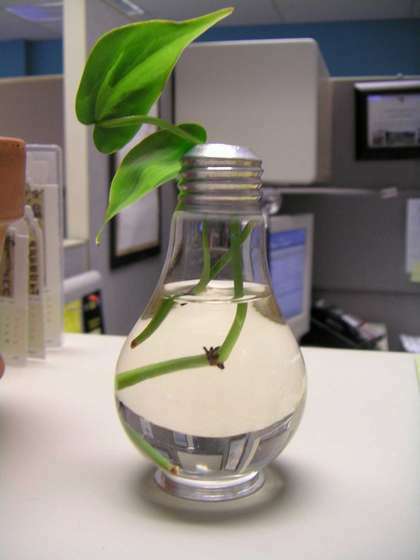 They have also made a light bulb terrarium – LOVE IT.